Saving money on energy bills is becoming a bigger priority for businesses everywhere, and having the right roof on your commercial building can make a significant difference. Thermoplastic olefin roofing, or TPO, is a great option to make your roof more efficient and help reduce your energy bills. Sorensen Roofing & Exteriors, G.C. are TPO roofing experts who will install the best roof available to make your commercial property as energy efficient as possible. Feel free to call us today at (970) 251-0911 for a free estimate on a new TPO roof installation or roof repair. Our services are made available throughout Northern Colorado and the Front Range. 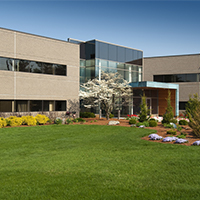 TPO is designed to reflect UV rays, limiting the amount of exterior heat gain that transfers into the building. This lowers the need for air conditioning, helping reduce your utility bills. TPO is very durable and long lasting, limiting the cost of repairs or replacements down the road. As an added benefit, TPO roofing is made from recycled plastic and is very environmentally friendly. TPO roofing is an ideal commercial roofing type because it is applied in large rolls fully adhered and mechanically fastened or ballasted. Its durable material is essentially waterproof. 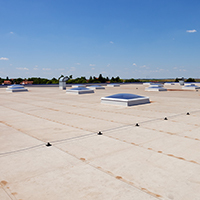 For a commercial building, TPO is the most cost-effective method to make your roof energy efficient and, as a result, can help save money on energy costs. At Sorensen Roofing & Exteriors, we are dedicated to not only providing you with a plethora of options when it comes to roof types, but also when it comes to the materials available to you. 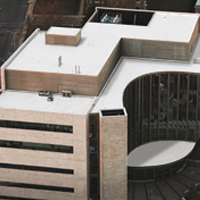 We offer only the best TPO roofing materials to ensure that best possible results from your commercial roof. 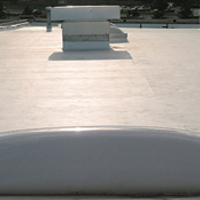 EverGuard Extreme TPO is designed for roofs that required advanced UV and heat protection. Through the utilization of UV absorbers and proprietary stabilizers, EverGuard Extreme TPO will help your roof stand up to weathering like never before. EverGuard TPO is made to outperform standard TPO materials when it comes to both UV and heat aging. An independent study has found, in respects to accelerated aging, the EverGuard membrane can’t be beat. JM TPO has always been a great choice, but there are more reasons to choose it today than ever before. They’ve listened to their contractors and consultants, and they’ve developed TPO material that features the highest thickness-over scrim, next-level ozone resistance, an EPA standard-exceeding solar reflectance index and a whole lot more. UltraPly TPO membranes are available with panels of reflective tan, white or gray. This will help to reduce your commercial building’s cooling costs. UltraPly membranes are ideal for many different low-slope applications and building types. OctaGuard XT is a weathering package that is incorporated into the Carlisle Sure-Weld TPO membrane. Comprised of eight industry-leading technologies, this one-of-a-kind TPO membrane provides first-rate, long-term protection against the damage caused by UV and heat exposure. All of these options are great choices, and our commercial roofing contractors can help you determine which one will work best for your commercial building. 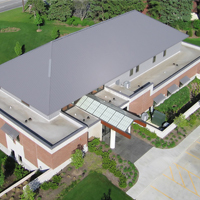 To learn more about the TPO roofing materials we offer, give us a call. Sorensen Roofing & Exteriors are your local experts for all your commercial roofing installation and repair needs, including TPO roofing services. We have the knowledge and workmanship to maximize the energy efficiency of your commercial building and save you money on your energy bills. 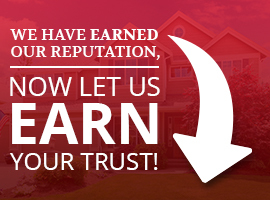 Contact us at (970) 251-0911 for a free estimate today. We proudly serve Denver, Colorado Springs, Littleton, Aurora, Arvada, Englewood, Boulder, Fort Collins, Longmont, Broomfield, and surrounding Colorado and Wyoming areas.